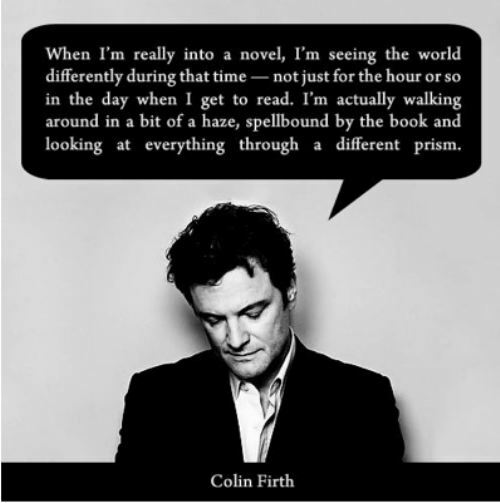 Thank you, Colin Firth. I often feel the same way, and it's a feeling that hasn't really changed since I was a child. I remember reading the Earthsea Trilogy by Ursula Le Guin when I was in seventh grade and having the sense that it forever altered the way I saw the world.